The Southern Maryland Civil War Round Table is pleased to announce that its next meeting will take place on Tuesday, May 12, 2015 at 7:00pm at the College of Southern Maryland’s Center for Business and Industry, Chaney Enterprises Conference Center, Room BI-113, at 8730 Mitchell Road in La Plata, MD. Ulysses S. Grant was the greatest general of the Civil War and the overrated Robert E. Lee was part of the Myth of the Lost Cause! These are the conclusions of historian Edward Bonekemper, author of “Grant and Lee: Victorious American and Vanquished Virginian”, a war-long comparison of the two most famous generals of the Civil War. Mr. Bonekemper will reveal how Lee’s hyper-aggression resulted in his army suffering approximately 209,000 casualties, while Grant’s army lost “only” about 154,000. He will explore and explain how Grant won and Lee lost the Civil War. Mr. Bonekemper will show to us that Lee was far too aggressive a general for the Confederacy, which did not have the burden of winning the war and could not afford to squander its manpower. 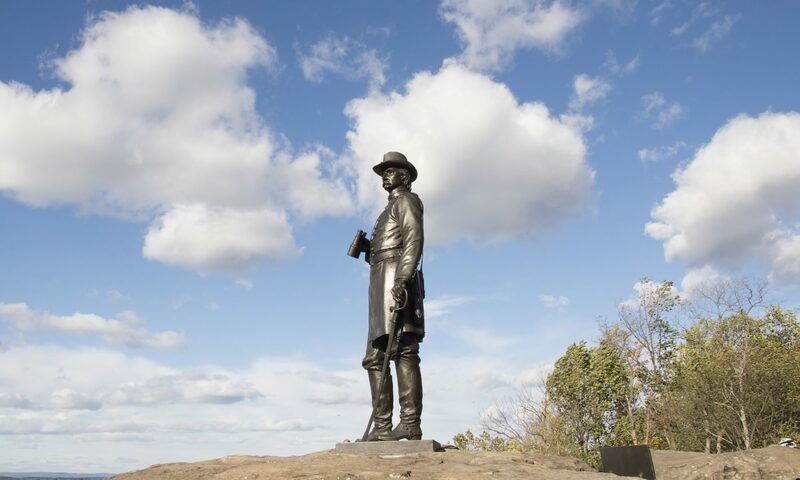 He will demonstrate that Lee was a Virginian first, a Confederate second – priorities that led him to a bloody stalemate in the East and had disastrous impacts on Vicksburg, Chickamauga, Atlanta, Chattanooga and elsewhere. Mr. Bonekemper will show that throughout the war Lee either did not know or did not care what was occurring outside his theater and committed blunders that aided Grant and later William Tecumseh Sherman in the Middle and Western theaters of the war. The inter-theater relationships and interplay between Grant’s and Lee’s campaigns; even before they fought head-to-head in 1864 and 1865, will be described by Mr. Bonekemper. He will detail Lee’s draining of the entire Confederacy to replace his intolerable losses, his resistance to sending needed reinforcements to other theaters and his role in facilitating Sherman’s critical capture of Atlanta. In contrast to Lee, Mr. Bonekemper depicts Grant as doing exactly what a Union general was supposed to do: aggressively taking the fight to the enemy, winning the Mississippi Valley and the East and saving the critical Union Army in the Middle Theater. Perseverance, deception, alacrity and appropriate aggressiveness were the hallmarks of Grant, the Civil War’s greatest general. Edward Bonekemper is the author of four other Civil War books covering Grant, Lee, Lincoln and McClellan which include, “How Robert E. Lee Lost the Civil War”, “Lincoln and Grant: The Westerners Who Won the War”, and “McClellan and Failure: A Study of Civil War Fear, Incompetence and Worse”. Copies of “Grant and Lee: Victorious American and Vanquished Virginian” will be available for purchase and Mr. Bonekemper will be available to sign them after the discussion.